For the past four holiday seasons, UPS has delivered more than just packages. They’ve delivered surprises, hope, smiles, hugs and, above all, joy. And we’ve captured it all. For UPS, the holiday season is the busiest time of the year. As shipping volumes reach their peak, so do people’s expectations. We needed a solution for managing customer demands that would help refocus the conversation on social media. 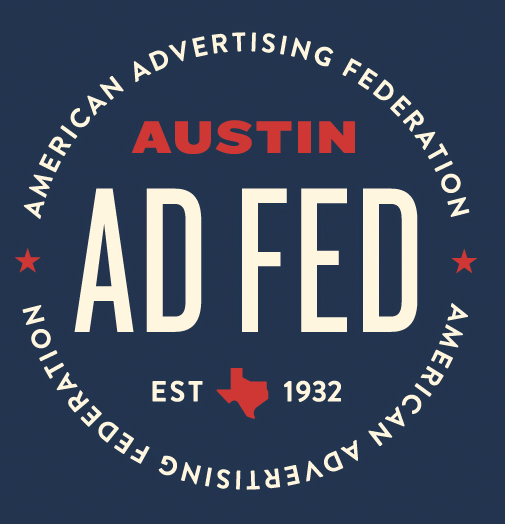 A social campaign that goes beyond simple marketing to tell authentic, heartfelt stories that truly connect with people and make them feel something real. 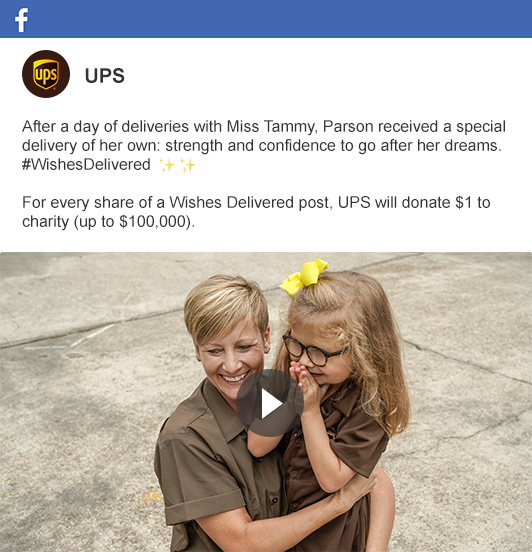 Wishes Delivered uses real, heartfelt storytelling to help UPS join cultural conversations and share their generosity with the world. To find our stories, we looked at the topics fueling current conversations on social media. If we focused on telling stories that aligned with our audience’s passion points, we were more likely to connect with them on a deeper level and create more opportunity for engagement. The strategy for the 2018 Wishes Delivered campaign was two-fold: create touching stories that resonate with audiences on an emotional level, and share those stories in a variety of formats. In addition to traditional storytelling, we created a variety of social-first content more suitable for scrolling the feed. This helped extend the life of each story and allowed us to prioritize the best-performing content on each channel to optimize our media spend. 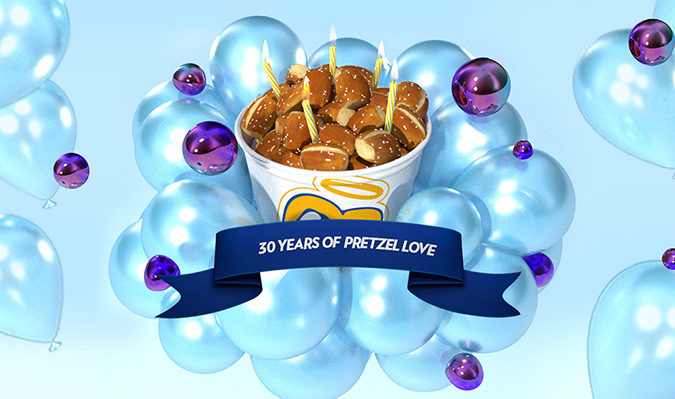 How a 3D social campaign racked up 1 million RSVPs to the pretzel party of the year. Using biometric data to measure the emotional response of concertgoers, T3 designed an experience which turned that data into real time art to accompany the live show. We supported the new user-friendly and streamlined UPS global site by launching it around the world so users everywhere can focus on what matters most.